It’s going to be a fun weekend! A chance to do some exploring of things that hold my interest in Washington, DC. I’ll be with my sister and her husband. 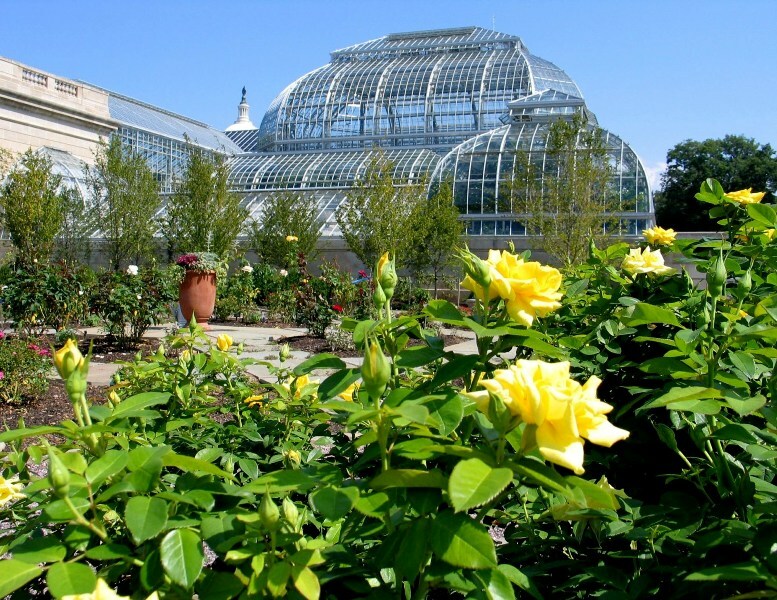 On our list for Sunday is the National Botanic Gardens and the National Portrait Museum. Two of the few museums in the District of Columbia I have never visited throughout my lifetime. The botanic gardens is a museum quite different than many others in our nation’s Capital. The treasures within the walls are living plants – many of which are not indigenous species to the United States. It gives our citizens an opportunity to see plant life from places all over the world that we may not ever get a chance to travel to. Specimens from the jungle, desert, mountains and plains, both rare and endangered have been assembled and are growing in eco-systems that mirror their natural environments. Being an art enthusiast , it is surprising that the National Portrait Gallery is also one of the few federal buildings of importance I have never been to in Washington, DC. After reading the blog www.castlesandcoffeehouses.com called Edith Warton “The Age of Innocence” http://bit.ly/1vzQ927 about a painting in the collection at the National Portrait Museum, I vowed that on my next trip to the East Coast I would visit it. It is a Washington, DC museum I didn’t get to as a child and haven’t yet in my adult years. Well, here I am, ready to enjoy it tomorrow. I’m sure I will be taking photos throughout the day to share on a future blog for those don’t get a chance to travel to the East Coast. See you on All Things Fulfilling on Monday. Have a great weekend! This blog brought to you by www.allthingsfulfilling.com and award-winning author of the anthology Gift of a Lifetime: Finding Fulfilling Things in the Unexpected. http://amzn.to/1vCTf7k. Don’t miss out on the audio version, it holds the treasure and also won 2nd prize in the EVVY book awards! Have a wonderful weekend exploring! The Portrait Gallery brings so much of American history to life. Good to hear you are doing a “fun weekend” during your book tour trip. I will be looking forward to pictures in a future blog. Also, congratulations on your EVVY book awards. I have some really neat things and images I will be sharing over the coming weeks – stay tuned!